Nick Howell, has been involved with TVs for over 5 years (since 2007). Nick has an amazing flair with customer service and getting the job done right the first time. 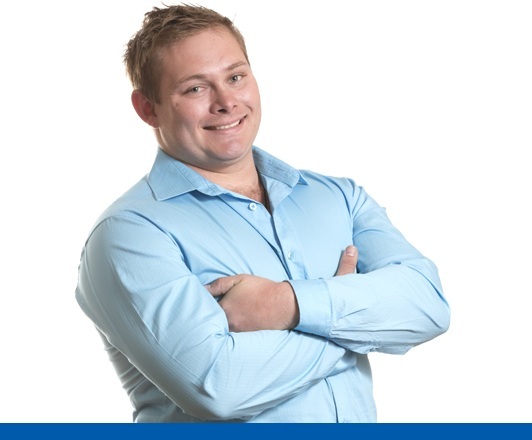 Nick's successes has scored himself the role as company training manager for all new franchisees. Nicks Qualifications: Nick was a qualified automotive technician CERT IV working for FORD, Australia. Nick Howell commenced his career as a TV Magic franchisee initially in 2006 Part time. Nick started full time in 2010. Nick Howell dominates and works in the Brisbane and greater Brisbane region. 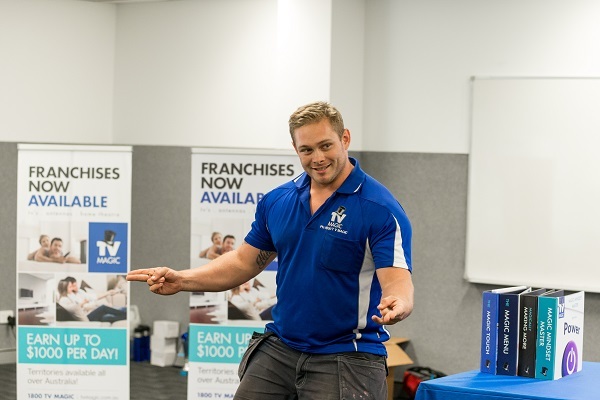 Nick Howell has worked and helped trained franchisees in Melbourne and Brisbane. Nick's specialties are Antenna installations, Tv Tuning, Complex Home theatre installation, Tv Tuning and Tv points. 2013: Nick Wins FRANCHISEE OF THE YEAR !!! 2015: Nick joins the new "TV Magic $5k profit per week club" with consistent weeks over $5,000 profit for commercial antenna installations. So Nick, what were you doing before TV Magic? Now Mr Howell, how long have you been with TV Magic? Probably TV wall mounting or media rooms. The finished product and the look on our customer's face when we are all done is so rewarding. Ok, and what would youy say Nick Howell's favourite TV show would be? I can lift lots of weight! Does that count (laughs)? One from yesterday was when a company had pulled out on a job where the customer wanted to have their entertainment room set up and I was able to go by and get it all going for them so they could have the TV up and running before the weekend. I re-mounted their speakers, wall mounted their TV and tuned it all in for them which was pretty cool. Busy, fun and extremely rewarding.